When you’re actively trying to pay off debt, it can seem like literally everything is getting in your way and derailing you from your goals. There’s also the fear of sinking deeper into debt, or accumulating new debt right after you become debt free. The fear of accumulating more debt mostly stems from the improper use of credit cards. While credit cards are nice and can offer some great rewards when used properly, if you’re battling credit card debt you might not want to keep using your cards regularly. This is where an all-cash budget comes in. Cash budgets may seem old school, but they’re easy to implement, effective, and they help you reduce your spending along with your dependency on credit cards. 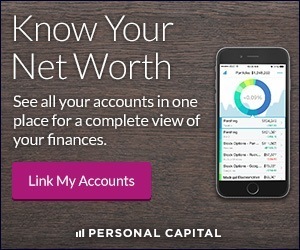 Do You Spend Less With Cash Than Credit? Are you sometimes shocked at how much money you spend when you open your credit card statement each month? Even if you budget accordingly, it’s still very easy to overspend when all you have to do is swipe a card and take care of it later. Financial expert and author Dave Ramsey is a huge supporter of cash-only budgets. He often interviews individuals on his radio show who save hundreds of dollars each month by only using cash and their debit cards as opposed to ‘running a tab’ by using a credit card to cover certain expenses. I agree that from a mental standpoint, we hold on to our cash tighter than we do with our credit cards because cash just seems more real as it leaves our hands and our wallets for good unlike with a credit card. A 2012 study conducted by Promothesh Chatterjee and Randall L. Rose indicated that consumers who use credit tend to focus on the product’s benefits as opposed to their costs. Credit cards drive more impulse purchases because you don’t have to open your wallet and actually be honest about how much money you have to spend. If you want something that is over your budget, you can have it now and possibly adjust your budget later thanks to your credit card. By switching to a cash-only budget and giving your credit cards as break, you will most likely enable yourself to spend less and save more. 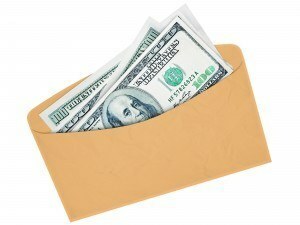 One of the most popular ways to implement a cash-only budget is by using the envelope method. It is extremely easy to get started. First, you record your monthly budget using your method of choice (budgeting software, spreadsheet, pen and paper). Then you grab a few envelopes and assign each one to a budget category. For example you may have an envelope that’s labeled ‘dining out’, one for ‘fuel expenses, another one that’s labeled ‘groceries’ and so on. You may not be able to pay for every expense in cash like your utility bills or insurance payments and that’s okay. When you receive your paycheck and deposit it into your account, you should then withdraw the amount needed to carry out your cash budget for the month and put it inside different envelopes. So if your grocery budget for the month is $450, you’ll withdraw that amount from your account and put it inside the envelope. Whenever you go to the grocery store you can bring the envelope with the cash to use for food expenses. 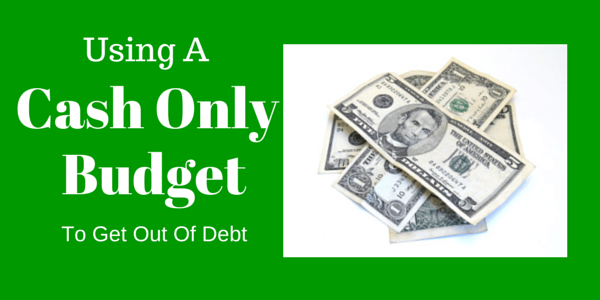 You won’t be able to overspend when you run out of cash so you’ll have to budget accordingly. Even though I’m generally good with budgeting and managing my finances, I couldn’t tell you how many times I was at the store and purchased some food or an item that wasn’t on my list just because I knew I would be paying with a credit card and I could pay off the bill weeks later when my next statement came. I understand that this isn’t the right mentality to have and it can easily cause you to wind up short at the end of the month. The cash envelope method makes it very difficult to stray away from your budget since you will be monitoring your funds more closely to ensure your envelopes don’t wind up empty. Developing a cash-only budget should be tailored to accommodate your specific situation. For some people, ‘cash-only’ means strictly 100% cash while for others it means using some form of a card like a debit card or prepaid Visa. The key is just to stop using credit cards to pay for everything. If you have auto pay setup for certain expenses, don’t forget to leave enough money in your account to allow those payments to go through. 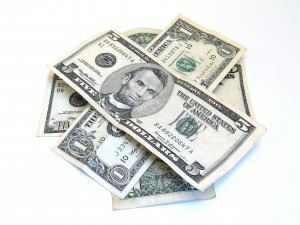 A rule of thumb is to always leave a little extra in your account to serve as a cash buffer. Sometimes companies send out extra charges on accident or require service fees in addition to utility payments. It’s always a good idea to be prepared for unexpected charges like these so you don’t overdraft. I don’t mean to state the obvious, but it’s true. The most common forms of debt are credit card debt, student loan debt, and debt from a mortgage or another loan. When you commit to spending money you actually have (aka cash), there’s no possible way you can get into debt. When you’re actively trying to make payments toward your debt while juggling a few credit cards, you could be setting yourself up for some setbacks. As I mentioned before, when you put money toward your debt but continue to use your credit card and carry a balance you basically aren’t progressing at all. For the sake of your debt, don’t get caught up in the credit card cycle again and again. I know it might seem drastic to change the way you spend by switching to an all cash budget but sometimes drastic adjustments are for the best. My challenge for you is to track your spending and review your budget as normal for 30 days. Then put your credit cards on hold, implement a cash-only budget for 30 days and track how much you spend and save using the envelope method. You’ll be surprised with your results. Have you ever implemented a cash-only budget before? Did you notice any significant savings?